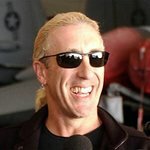 Dee Snider, heavy metal singer turned radio host and actor, is looking to get “hired” again. He’s competing in The Celebrity Apprentice’s new season and hopes to be chosen by Donald Trump to win $250,000 on behalf of the March Of Dimes. Snider, front man for the 1980s rock band Twisted Sister, is a long-time March of Dimes celebrity volunteer and has served as the March of Dimes Bikers for Babies National Spokesperson since 2008. 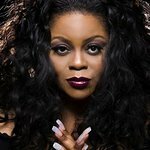 On NBC-TV on Sunday, February 19, at 9 p.m. ET (check local listings), he’ll join the cast of 17 other celebrities in the premiere of the new season of The Celebrity Apprentice. Dee has a personal connection with the mission of the March of Dimes because two of his four children were born prematurely. In The Celebrity Apprentice, celebrities work in two teams, each under the guidance of a designated project manager, to compete in business-driven tasks around New York City, using their fame, along with their proven business acumen, to win challenges. The head of the winning team gets money for his or her charity, while a member of the losing team gets fired. Dee will try his best to compete among the other participants to win on behalf of the March of Dimes. The money raised will support March of Dimes research, education and community programs to help moms have full-term, healthy pregnancies and healthy babies. Dee Snider has been riding in Bikers for Babies for more than a decade, hitting the open road in support of finding new ways to prevent premature birth. This year, Bikers for Babies events will take place throughout the country, with most occurring September 15 or 16, 2012. Each ride to benefit babies is about 70 miles long, with every mile counting to help fight premature birth and give every baby a healthy start in life. Visit www.bikersforbabies.org to find a ride near you. The March of Dimes is the leading nonprofit organization for pregnancy and baby health. With chapters nationwide and its premier event, March for Babies, the March of Dimes works to improve the health of babies by preventing birth defects, premature birth and infant mortality. For the latest resources and information, visit marchofdimes.com or nacersano.org. The March for Babies is sponsored nationally by the March of Dimes number one corporate supporter Kmart, Farmers Insurance Group, Cigna, Famous Footwear, Sanofi Pasteur, FedEx, Mission Pharmacal, Watson Pharmaceuticals, First Response, and United Airlines.